It provides paid opportunities for established and emergent artists from all disciplines both to develop their practice and to explore ideas for new work. All participants are paid a fee, and we actively encourage applications from Deaf and disabled artists and BAME artists. Click on the links below to find out more about the individual parts of the programme. Sign up for our Artist Development mailing list to receive information about opportunities. ARTIST ATTACHMENT sustained development for mid-career artists. 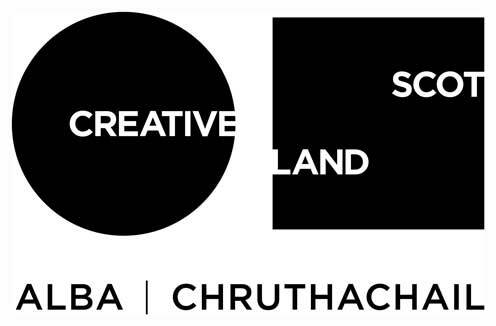 A major new paid development opportunity for Scottish-based artists with a significant track record from any art form. ROUGH MIX creative lab. A two week multi-art form practical opportunity for artists to try out new ideas and new ways of working. It brings together a small group of practitioners from different disciplines and gives them time to start developing new projects in a supportive and collaborative atmosphere. Rough Mix is open to both established and emergent artists and selection is through an open call process. The next Rough Mix will take place in January 2020. More information will be announced later this year. SPACE/TIME creative retreat. A 5 day multi-art form residential retreat for artists from all disciplines, built around facilitated discussion and individual time for reflection. Participation in Space/Time is open to established artists and selection is through an open call process. 2018 NEW ZEALAND PLAYWRIGHT RESIDENCY. An opportunity for a playwright based in Scotland to spend three months as writer-in-residence with a New Zealand theatre company. Now closed to applications - more information here. RE-MIX project development. We develop projects to production through a process of commissioning and development. Projects may arise from partnerships that begin at Rough Mix, from invitations to artists we admire, or from interesting ideas that are brought to us. NETWORK ongoing support. Once you have taken part in our artist development programme, you become part of a network of over 80 artists and performers who have already participated. We continue to offer informal and formal support and advice to participants. We plan to nourish this network in the future through twice-yearly catch-ups - refresher days for talking, sharing and socialising. We believe that this programme offers unique opportunities for artists with an interest in live performance from all disciplines. If you are interested in finding out more about what we do, please subscribe to our Artist Development mailing list. Support our Artist Development programme - you can find out how to support our artistic development work financially here.